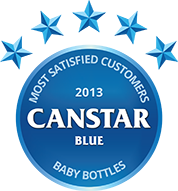 If your baby wants their bottle, make sure it’s a five star winning brand with our baby bottle customer satisfaction ratings. Canstar Blue research finalised in July 2013, published in September 2013. Philips Avent achieved five star ratings for overall customer satisfaction, quality of seal, ease of sucking and cleaning, bottle size and shape and ease of preparation. While most baby products won’t be needed longer than the time it takes your child to grow out of their diapers, that doesn’t mean they can’t eventually get a new lease on life. 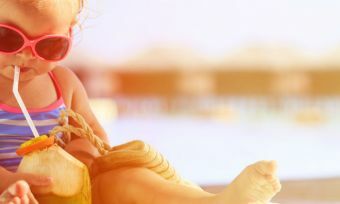 We found that sixty one percent of parents who responded to our recent survey buy new baby products for their newborn, and then make the best of the inevitable by selling them later on. 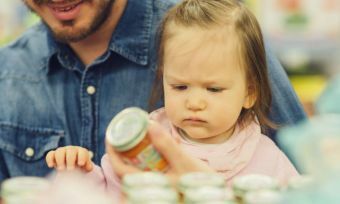 More single parents try to recoup their baby product investment by reselling later (74%) – more so than the 64% of couples with children doing the same. More than half of surveyed parents claim they purchase second hand items for their baby because their child won’t know the difference. One item that might be better suited as a fresh purchase for your newborn is their baby bottle, an important part of your child’s feeding routine. If you’re deciding on which brand to buy, consider our Most Satisfied Customers award winner for baby bottles: Philips Avent. Philips Avent achieved five star ratings for overall customer satisfaction, quality of seal, ease of sucking and cleaning, bottle size and shape and ease of preparation. Avent have also been awarded our most satisfied customers award for baby cups (i.e. sippy cups). Also rated were Tommee Tippee, Closer to Nature, Nuby, Woolworths brands and Happy Baby. Foremost for overall baby bottle customer satisfaction was Philips Avent, with a five star rating. Tommee Tippee, Closer to Nature and Happy Baby were close behind with four stars each, and Nuby and Woolworths brands each received three. Customers of Happy Baby were most satisfied with the value for money of their baby bottle purchase. 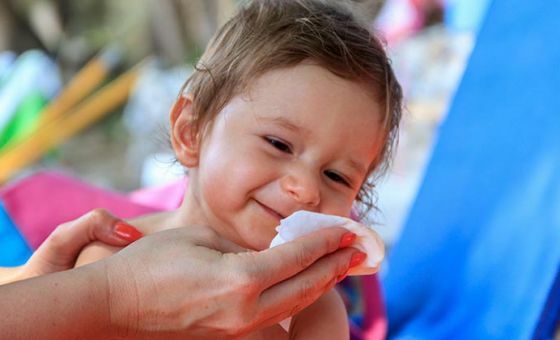 Following the five star-rated brand were Philips Avent, Tommee Tippee, Nuby and Woolworths brand with four stars each; Closer to Nature received three. Feeding time can be messy enough as it is, without the added complication of the bottle leaking. Two brands may offer a solution, with both Philips Avent and Tommee Tippee receiving five stars for the quality of their bottles’ seals. 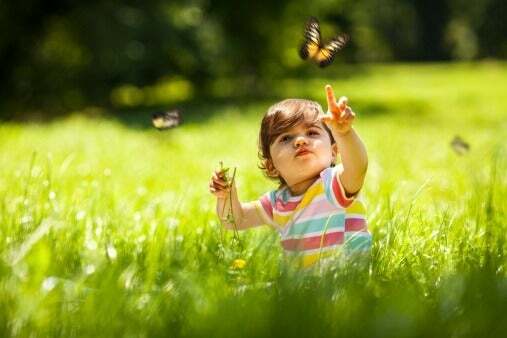 Following were four star recipients Closer to Nature, Nuby and Happy Baby, then three star achiever Woolworths brands. Customers of both Philips Avent and Closer to Nature were most satisfied their baby bottle offered easy sucking action for infants. Tommee Tippee, Nuby and Happy Baby each achieved four star ratings, and Woolworths brands received three. Some newborn babies need to be fed every couple of hours; to keep up, you’ll need a bottle that’s easy to clean! Both Philips Avent and Tommee Tippee achieved five stars for the ease with which their baby bottles and teats could be cleaned. Following were four star recipients Closer to Nature, Nuby and Happy Baby; then three star recipient Woolworths brands. How time flies and babies grow. To aid in their development, babies need plenty to eat and a bottles may need to change as a result. Customers of Philips Avent and Closer to Nature were most satisfied with the sizes and shapes of bottles available. Each brand earned five stars, and was followed by Tommee Tippee, Nubby and Happy Baby with four stars each, and Woolworths brands with three. Along with sterilising and preparing the equipment, organising dinner for your baby can be quite an involved process. Encouragingly, two brands received five stars for the ease of this preparation: both Philips Avent and Tommee Tippee. Nuby, Woolworths brand and Happy Baby all received four stars apiece, and Closer to Nature finished with three. These baby cup ratings are part of our Parent’s Pick Awards, where we commission Colmar Brunton to survey 1,300 Australian parents aged 18-40 years old with at least one child aged three years and younger to measure and track customer satisfaction over a number of categories. The outcomes reported are the results from parents within the survey group who have purchased a baby bottle / teat in the last year – in this case, 648 people. What makes a good baby wipe according to Aussies? Take a look.